Y'all are incredibly sweet to indulge me with my whining yesterday. I'm feeling better today. The weather today is as up and down as I am. Sunshine one minute and sleet the next. Crazy! Matt says "Thank You" for all of the wishes for a speedy recovery. We are both ready for him to get back to work. Very. Ready. While we were in Iceland, wifi was a bit hit or miss. But, I couldn't wait to post my instagram photos at the end of each day. It's my favorite of all of the social media options. And I loved all of the Likes and comments. Thanks so much for following along. today I'm going to share some instagrams shots from our wonderful trip. 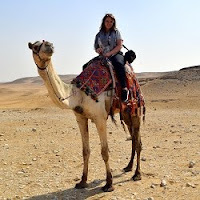 I've decided to link up with Instagram Travel Thursday for the very first time. to answer travel questions and give travel inspiration for others. I'm very excited to participate in the weekly link up. Iceland was the Perfect Winter Getaway from London. The flight is less than three hours. We were there for just over three days and were able to fit so much in without rushing at all. We flew out Wednesday night arriving late and stayed at a airport hotel. We awoke early the next morning, picked up the rental car and headed out to explore the South Coast. This was our longest day and we stayed on Route 1 about an hour outside of Reykjavik. Next day we slept in a little later and had plenty of time to tour the Golden Circle and visit a spa. That night we stayed in Reykjavik and had dinner out on the town. and did a Northern Lights Tour that evening. We checked out of the hotel early Sunday morning, dropped off the car and caught an early flight. We were home by 2pm on Sunday. I'm amazed at how well it all worked out with a bit of planning. I have many more posts scheduled going into greater detail and with a ton of photos. I hope you will check out some of the links below to share some love and maybe even link up. - Link to a new Instagram travel post and use the permalink of your post, not the homepage URL. - Only new posts from the week of the linky and no giveaways, other linkys or sales pitch posts. - Don’t add links to your Instagram profile in the linky, only links to your blog. - Link back to one of the Instagram Travel Thursday hosts. - Visit a few other posts in the linky and show them some love (comment, tweet, Pin etc.). - Links that do not follow the guidelines will be removed. If you want to connect with me on Instagram, I'd love to follow back. The northern lights look amazing! I definitely hope to see them in my lifetime! These photos are amazing...makes me want to go even more. I'm happy that you were able to see the Northern Lights! 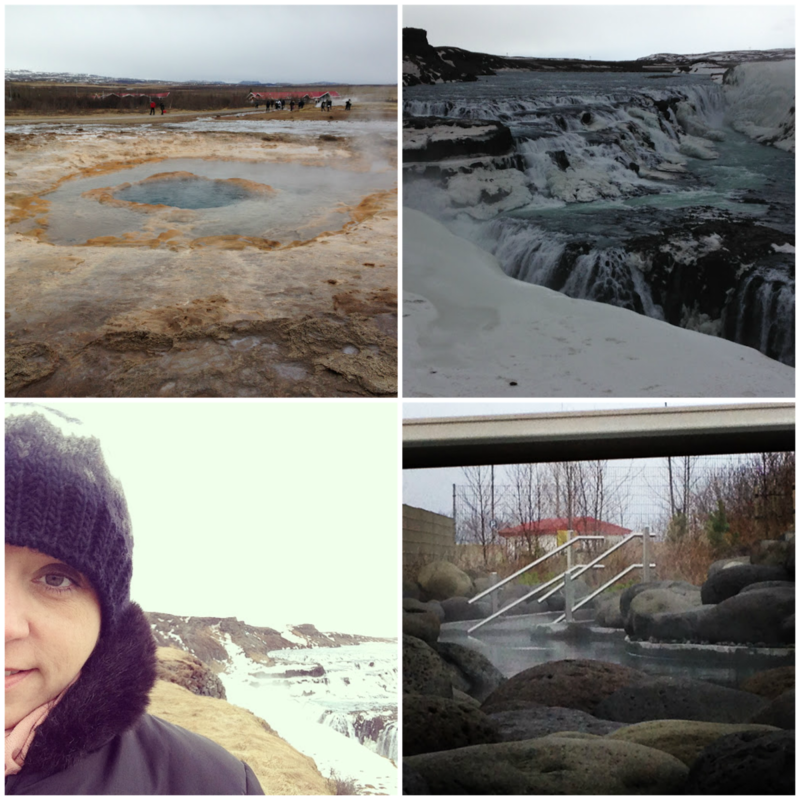 My first time linking up with #IGTravelThursday too :) Iceland is amazing, isn't it? It was my trip there in 2009 which completely changed my life! Your photos are beautiful! Lovely photos, we were there in December and although we saw some Northern lights, they weren't as great as yours! some absolutely stunning pics of your time in Iceland I love the last shot it's beautiful and the one of the sculpture that with the background of the water is really lovely. These Instagram pictures already look amazing, can't wait to see the rest. And how amazing that you've seen the Northern Light! I'd love to see it someday as well. Beautiful! Looks like you packed in a lot for a short stay. Would love to see Iceland soon. It' seemed that the landscape changed every few miles. It was spectacular. I'm so glad that we rented a car and explored on our time schedule. You are going to love it!!! I highly recommend a trip to Iceland! This Texas hasn't been warm for the past 5 months now. I need some sun on my skin. Now I know why everyone in London races for the parks and strips down the first day of warm weather. It really was fantastic. The star of the trip was absolutely the landscape. Glaciers and mountains, geysirs and waterfalls, moss and snow. Awesome! We were so lucky. Our guide was actually in tears. She said it was one of the best nights she's ever seen. Definitely a "pinch me" moment that I will never forget. 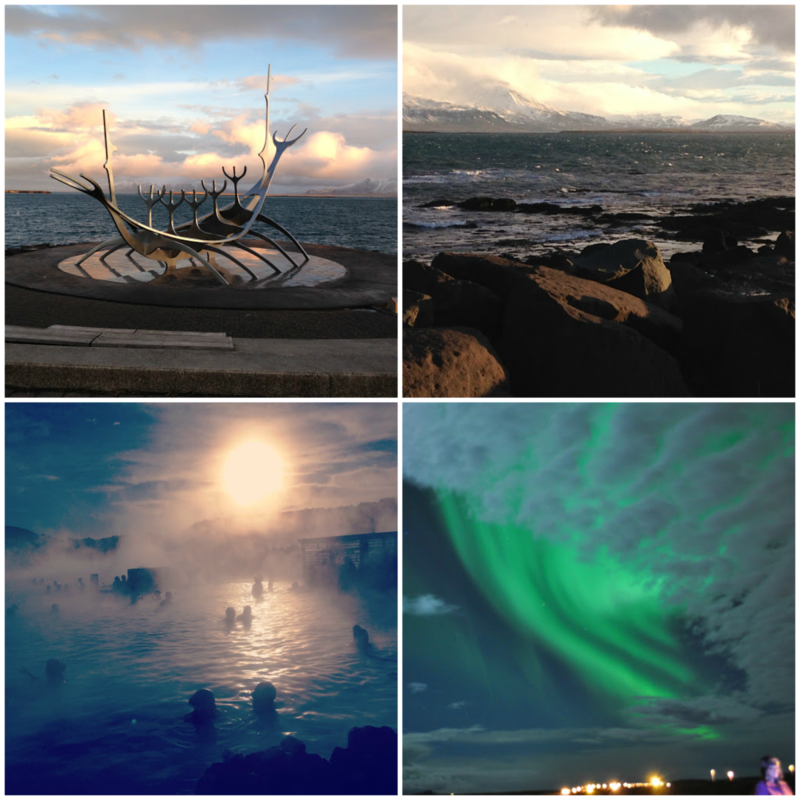 Thanks so much :D The lighting on that morning in Reykjavik when I took the photo of the sculpture had me giddy! I'm thrilled that you commented. I've followed you on Bloglovin and I so look forward to getting to know you through your blog!! I still can't get offer how we lucked out with such a great trip. Iceland is wonderful! Thanks :D You should have seen us trying to figure out the camera. lol We probably should have done a trial run before we were in a field in the dark. But, we figured it out and got some decent shots. Oh, Gay. It was magical! So many wondrous sites for such a small country. :D You have to plan a trip to Iceland! You will love it. The landscaped changed every thirty minutes. I've never seen anything like it. It was just the right length for us. Although the beds were pretty comfy and we each had our own duvet, which I love! No fighting over the covers. Thanks so much, Adam. Any plans to go back soon?? It was fabulous. I've never seen anything like it. I tried so hard not to get my hopes up because I know it's hit or miss. We really got so lucky. It was pure magic! Goosebumps! I still can't believe we actually experienced them. I don't ever want to forget that site. I still can't believe I actually saw them! Sparkling and shimmering. Amazing! Oh man, I have always wanted to visit Iceland (especially to see the Northern Lights). What an absolutely amazing experience! What a perfect little getaway. It is amazing how much you can do in just a weekend. Yay, your blog is full of good information today---looking forward to the Iceland posts, we've been considering it. Also, good info on the IG link. Looking for more ways to connect, share and grow. Thanks! 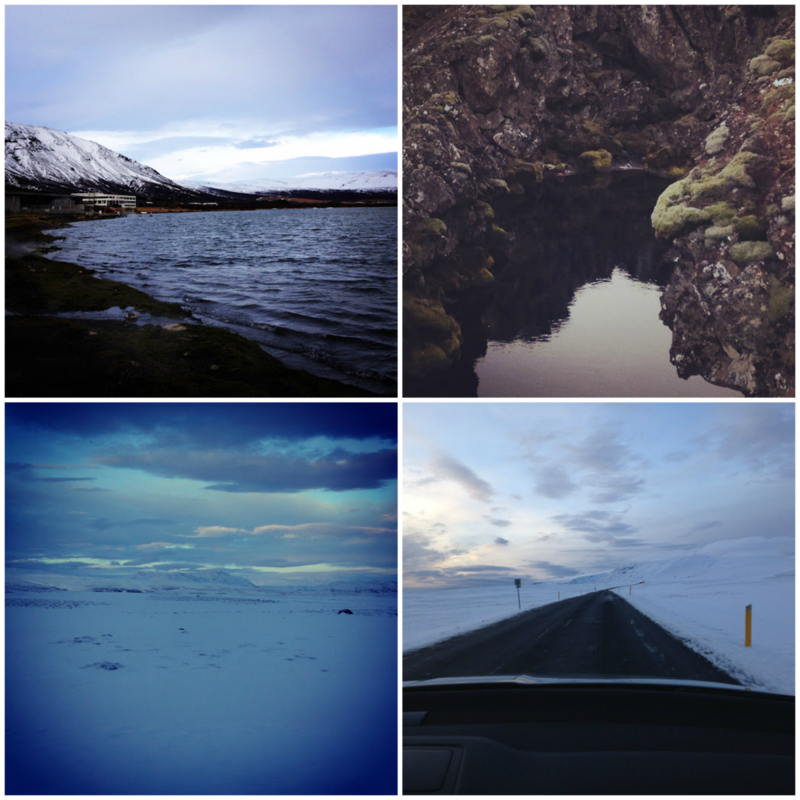 I love the pics and I love Iceland. Welcome to #IGTravelThursday! Iceland... 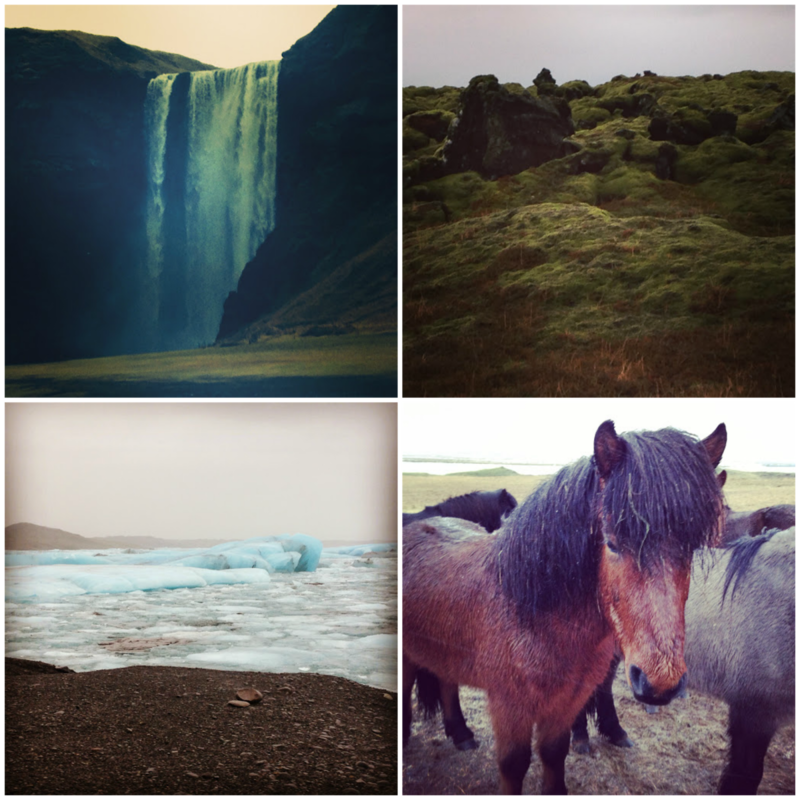 I'm so hoping to go there this summer, loved these images from there and looking forward to your Iceland posts. And welcome to Instagram Travel Thursday, good to have you on board!!! I loved Iceland. It is such an amazing place. I went there last year and have only just gotten around to blogging about it. Really though, photos and words arent enough. Your photo of the lights is just amazing, you're so lucky to have seen them like that! I'm really anxious to visit Iceland. Your photos are amazing! It sounds like such a wonderful trip and it is just sort of unbelievable that you can be there so quickly from the UK. I couldn't believe the flight was less than three hours. But, it was an expensive trip, but so worth every penny. Amy, I'm so glad that you stopped by and left a comment. I really enjoy your blog. I still can't believe we saw the Northern Lights. It gave me goosebumps! A newcomer to your blog and I'm loving what I see so far! I also went to Iceland and loved it, but only for a brief layover--I'd love to go back and follow your itinerary :) thanks for writing! I went to Iceland on a riding holiday. It was just amazing. Icelandic ponies are the best. Your photos take me back! How was your time in Iceland!?!? Did you get to see the lights? I can't wait to hear. Amy, I'm so glad that you found my blog. Thanks for commenting! You should definitely get back to Iceland and spend a bit of time. It's so amazing. I've connected on twitter & instagram and followed your blog on bloglovin :D I can't wait to read more!! Oh, I would so love to ride one! I bet your riding holiday was absolutely wonderful! They were awfully sweet and so gorgeous. Travelling to Cambridge and Iceland are two of the places very high on my bucket list, and seeing both of these posts on your site today has made me smile. Man oh man, Instagram sure knows how to say 1,000 words, doesn't it?